Have you ever wanted to be a peace dove, soaring high above the crowd and sending a message of peace and love to all the onlookers who might spy your white figure emblazoned like a talisman of hope against a deep blue sky? Well, think again, commie. Two of three peace doves released at the World Cup died immediately on Thursday after crashing into the stands, according to Guardian reporter Hadley Freeman. Nice try with that peace stuff, FIFA. Being a peace dove (actually a kind of Rock Dove) definitely comes with a set of occupational hazards. First of all, it's a lot of pressure to be an omen for good things! How do we know all white doves are peaceful? Maybe some prefer to spend their days feeling melancholy. Perhaps others are anarchists at heart. We'll never know. Second, being released from cages or some person's hands into an unknown environment — like, say, a massive World Cup stadium, or somewhere high above the madding crowd in Vatican City — can be a bit disorienting. Only the toughest survive. And even they are sometimes subject to hanging out in a press box afterward, which is a very cheap reward for living with such long odds for your survival. Apparently the kinds of rock doves used for peace dove release ceremonies are bred in captivity and have never known freedom. Living out your life in a cage sounds like a lousy way to spend your days until you're released and facing certain death. Not even talking about the Wicked Witch's flying monkeys, here. 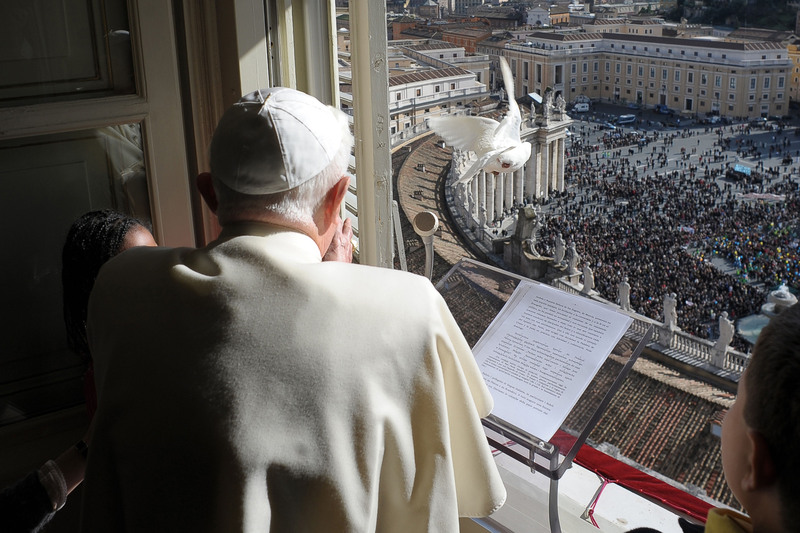 Two doves released by children flanking Pope Francis this January were immediately set upon by evil predator birds — namely, a seagull and a crow. Plus, then you have to suffer through people making fun of you on Twitter. Doves apparently need packs to survive, but they can easily get confused when they're released. That means they can lose their fellow doves and be even more vulnerable to an attack. So if you're a human, maybe try not to release peace doves. And if you're a dove, try not to be a peacenik.